The Federal Aviation Administration has selected Texas A&M University-Corpus Christi as a test site to further study the uses of unmanned aircraft systems. The Federal Aviation Administration has chosen Texas A&M University-Corpus Christi as one of six test sites to further study the uses of unmanned aircraft systems, the controversial machines commonly referred to as drones, school officials said Monday. The school's Lone Star Unmanned Aircraft Systems Center had submitted its application in May. The Coastal Bend location was one of 25 submitted by groups in as many as 24 states, the FAA said in a statement. Sites in Alaska, New York, Virginia, North Dakota and Nevada also were chosen. School officials submitted the proposal after Congress in 2012 passed the FAA’s Modernization and Reform Act, which mandated that the agency help develop with the NASA and the Department of Defense a site-testing program. The ultimate goal is to fully integrate the vehicles into national airspace by 2015, as required by the act. The designation could also be an economic boon to the region, adding about 1,200 jobs and $260 million to the South Texas economy, officials said. U.S. Rep. Henry Cuellar, D-Laredo, lauded the decision and suggested it could play a role in expanding border security. 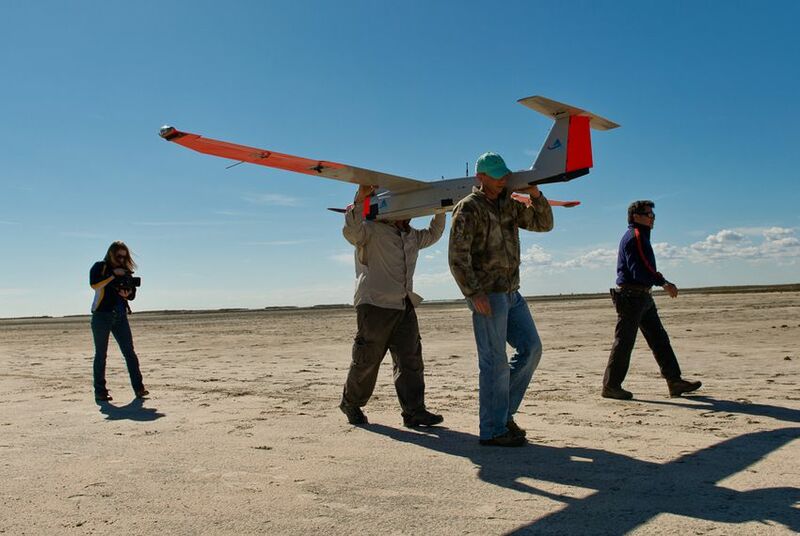 “As a longtime supporter and advocate for the use of unmanned systems along the border, I congratulate Texas A&M Corpus Christi for this victory in becoming one of only six national test sites for UAS,” Cuellar said in a statement. He is a co-chair of the Congressional Caucus on Unmanned Systems. “Routine aerial surveillance would profoundly change the character of public life in America,” the ACLU stated. But the FAA insists that site operators must comply with agency mandates put in place to guarantee privacy. “Among other requirements, test site operators must comply with federal, state, and other laws protecting an individual’s right to privacy, have publicly available privacy policies and a written plan for data use and retention, and conduct an annual review of privacy practices that allows for public comment,” the agency said in a statement. U.S. Rep. Blake Farenthold, R-Corpus Christi, who sits on the Congressional Caucus on Unmanned Systems and the bipartisan Privacy Caucus, said that Monday’s decision would ensure that Texans have a voice in crafting future drone legislation. “It gives our region the opportunity to take a leadership role in both the technology and policy challenges that will arise as these unmanned vehicles are developed, refined and deployed,” he said.